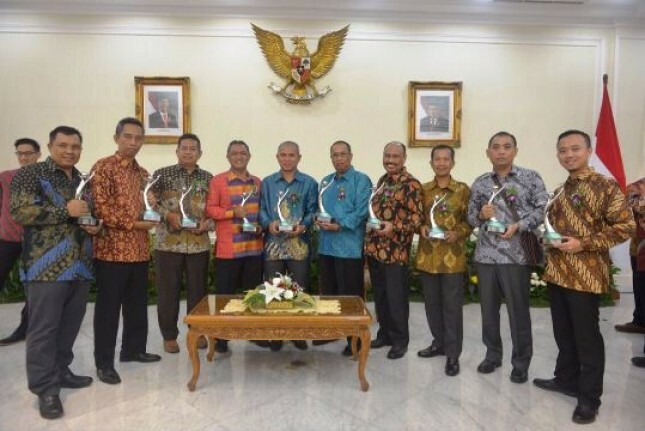 INDUSTRY.co.id - Jakarta - Ministry of Environment and Forestry again awarded PROPER Environmental Award to companies and agencies. Activities were held on December 18, 2017 at the Vice Presidential Palace of the Republic of Indonesia is to reward the many agencies that play a role in environmental management. In this year, 10 subsidiaries of PT Astra Agro Lestari Tbk got the Proper Environmental Award with Green Predicate. This means that the subsidiary of PT Astra Agro Lestari Tbk has made more effort than complying with regulation provisions in environmental management. This award was presented directly by the Minister of Environment and Forestry, Siti Nurbaya. "PT Astra Agro Lestari Tbk is very concerned about environmental management. This award is our passion to be able to improve our environmental performance in the future, "said Muhammad Riduan (Environment Specialist of PT Astra Agro Lestari Tbk). Riduan further stated, "PT Astra Agro Lestari Tbk continues to continuously manage the environment, not only as a liability but also a culture and company's need to contribute best to the whole environment." As is known, PROPER Award is an annual activity which is held to appreciate the business world for its business in environmental management. "Today we convey the Awards in the business world for outstanding performance in the environment," explained Siti Nurbaya. Presented the PROPER Year 2017 has assessed 1819 companies. As a result, 92% of companies are obedient to environmental management regulations. "We congratulate the PROPER award winners both green and gold predicate," said Vice President Jusuf Kalla who also gave a speech at the event.